The Ka’nikonhrí:yo Gatherings connects cultural leaders to the Indigenous community in Toronto. Leaders who discuss identity, wellness, language revitalization, traditional arts, ceremony, and history, as well as issues that face our communities such as climate change and the environment, decolonization, reconciliation, and sovereignty. Through monthly presentations, based on each leader’s own distinct nation and culture, the gatherings strengthen, empower, and support our community members. Harry and Juliana Snowboy, will discuss Sundance teachings and answer questions with respect to the spirit, history, and origins of Sundance ceremonies, and the importance of gaining spiritual sovereignty, and the reclamation of our sacred culture and traditions. 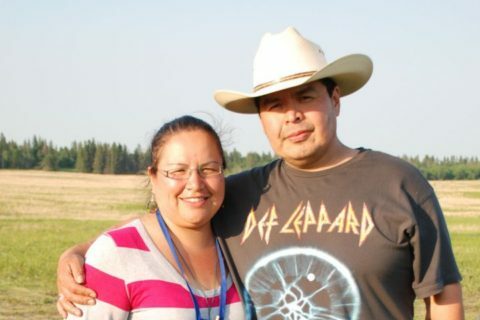 Harry and Juliana are the Sundance leaders of the annual Rattlechild Sundance ceremony situated in the traditional territory of the Anishnawbe of Henvey Inlet, First Nation. 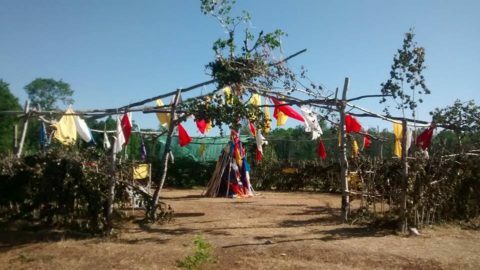 Both Harry and Juliana are the keepers of various sacred ceremonies and are regarded as Elders and Healers in their community. Both are well-known across the country for the healing and cultural work they have been doing for over 25 years. We are very happy to be hosting them and providing this opportunity to share their wisdom with us. Please join us for this important and inspiring discussion. Harry Snowboy (James Bay Cree), is an author, public speaker, cultural advisor, and a traditional healer to numerous Native communities. A former Director of an Aboriginal Police Force, Harry provides information sessions and guidance on leadership, team-work, and lateral violence in the workplace, as well as reviewing and assessing projects involving programs focused on community well-being. His extensive experience in crisis response has provided him with insight on managing both short and long-term crises. He has also provided guidance to organizations seeking to incorporate holistic approaches on problematic issues facing many Native communities. These discussions are geared towards fostering understanding and bridging the gap between traditional and non-Indigenous belief systems (Languages – English, Cree). The Native Canadian Centre of Toronto is a membership-based, charitable organization located in the heart of downtown Toronto in a beautifully renovated heritage building. Since 1962 the Native Canadian Centre of Toronto has been a key meeting place for all people, of all nations, from across Canada and all over the world. 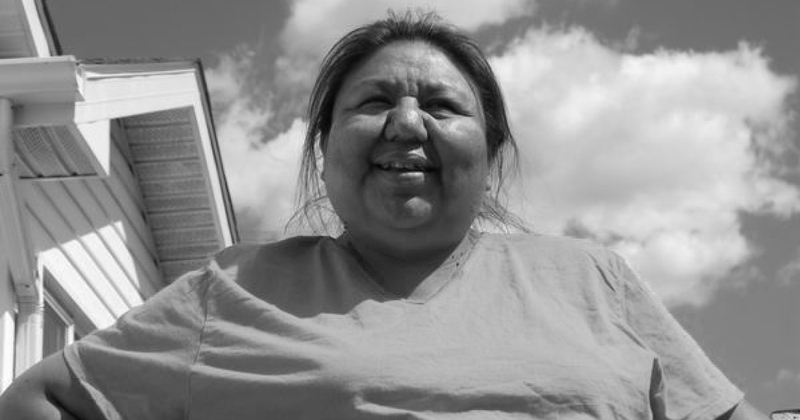 As Toronto’s oldest Indigenous community organization and one of the original Friendship Centres in Canada, the NCCT provides social, recreational, cultural and spiritual services for the Indigenous community and visitors alike.